The info below is valid for all supported Smart TV's platforms up to date and future platforms. Make sure you have the app installed on the TV and fully started atleast once in the past 6 months. Please type in the SOFTWARE ID when buying or trying a License! 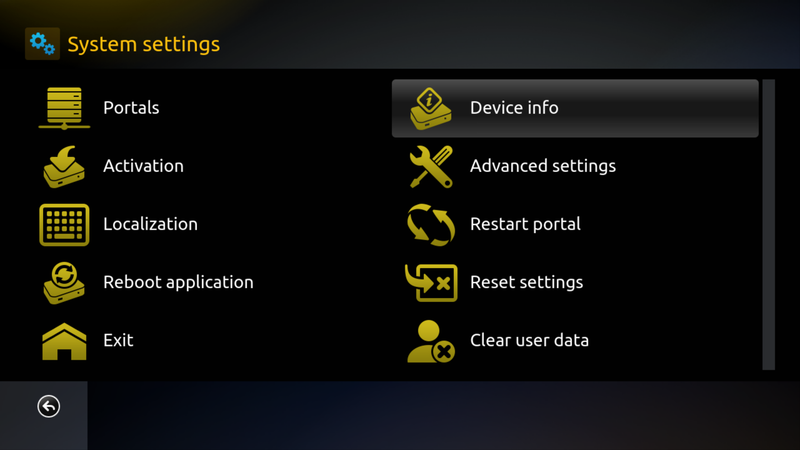 Press OK/Center key on the Remote as soon as you see Loading Portal. On some TV Remotes you need to press any of the ARROW keys instead of Center key. Software ID (former Software MAC) can be different from the TV's actual MAC address! You will see your Software ID used for app license and the app server you use in your region. 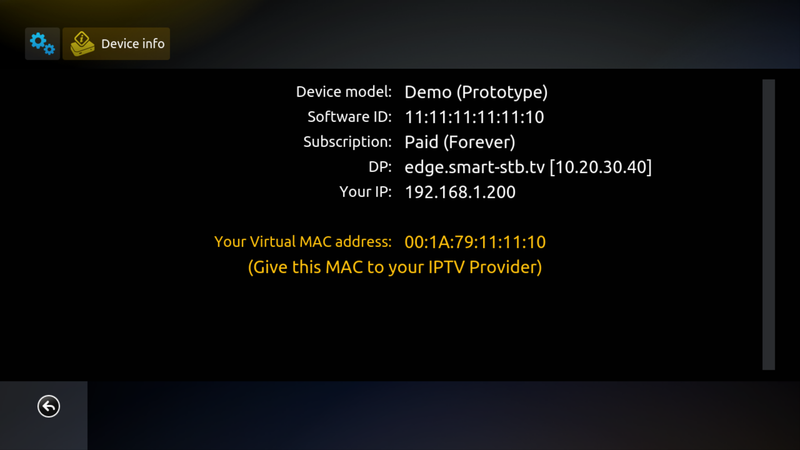 Virtual MAC is the one your IPTV Provider needs to activate subscription on. Please note that Providers needs to white-list (unlock) the app's server IP's in order to guarantee it will function correctly. Click for more info. Important Note: providers need Virtual MAC address. Once your App is active, you will need to give the Virtual MAC to your Service Provider of choice so they can activate your TV subscription with them.